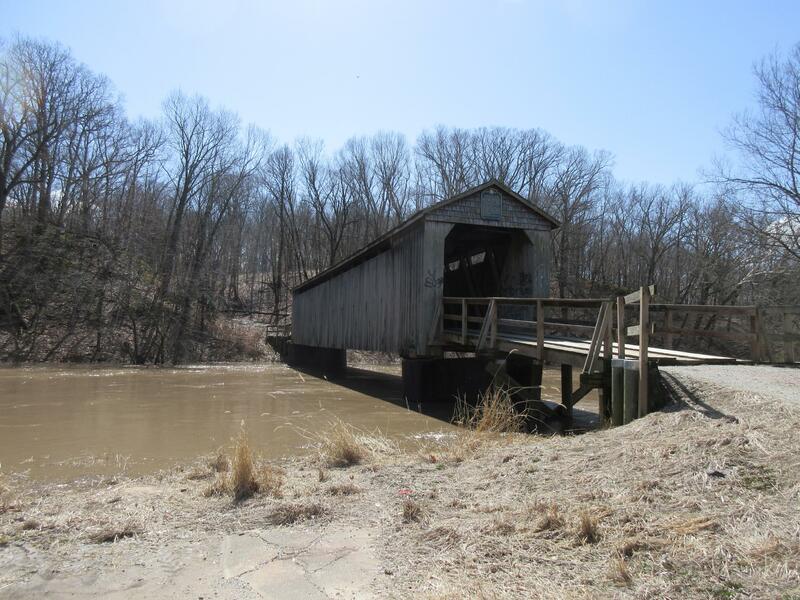 This is one of Illinois’ eight covered bridges. It is the 105 feet long, Thompson Mill bridge spanning the Kalkaskia River in Shelby County near Cowden, Illinois. 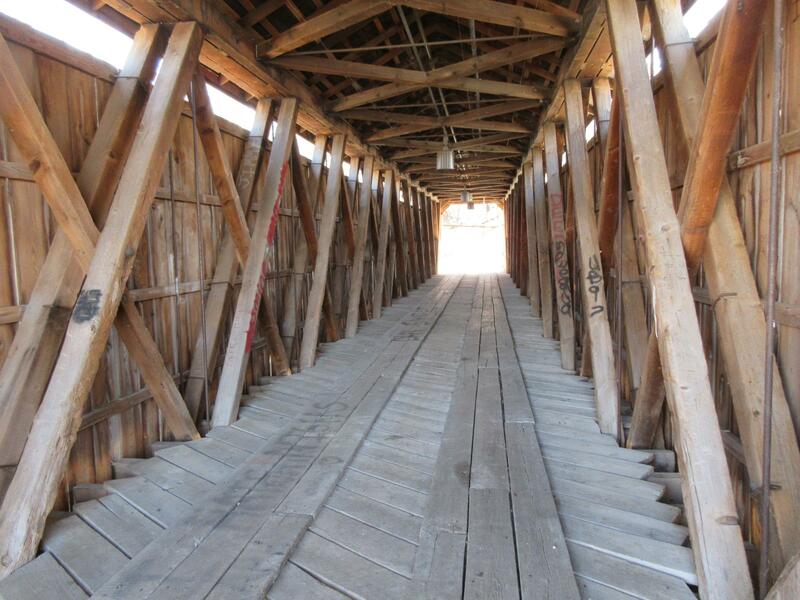 It was built in Michigan, shipped to Shelbyville, and delivered to its current location by horse drawn wagons in 1868. It was named for a nearby grist and saw mill which operated from 1843 until 1914. It not only provided access to the mill, but the road became an important transportation link. It utilizes Howe trusses. It is quite narrow at only about 10′-7″ wide.